However ridiculous Donald Trump's promises may seem, his pledge to protect Americans who depend on Obamacare, Medicare and Medicaid is a matter of life or death. Some worry she’s been too compromised by big money – that the circle of wealthy donors she and her husband have cultivated over the years has dulled her sensitivity to the struggling middle class and poor. But it’s wrong to assume great wealth, or even a social circle of the wealthy, is incompatible with a deep commitment to reform – as Teddy Roosevelt and his fifth-cousin Franklin clearly demonstrated. The more relevant concern is Hillary Clinton’s willingness to fight. Politicians usually seek to appeal to as many voters as possible, eschewing controversy. After a devastating first midterm election, her husband famously “triangulated” between Democrats and Republicans, seeking to find a middle position above the fray. But these times are different. Not in ninety years has America harbored a greater concentration of wealth at the very top. Not since the Gilded Age of the 1890s has American politics been as corrupted by big money as it is today. If Hillary Clinton is to get the mandate she needs for America to get back on track, she will have to be clear with the American people about what is happening and why – and what must be done. For example: Wall Street is still running the economy, and still out of control. They talk endlessly about freedom but they never talk about power. But it’s power that’s askew in America –concentrated power that’s constraining the freedom of the vast majority. In these times, such a voice and message make sense politically. The 2016 election will be decided by turnout, and turnout will depend on enthusiasm. The largest party in America isn’t the Republican or Democratic Parties; it is the Party of Non-Voters, who have become so cynical about politics they’ve ceased voting. 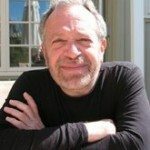 See this story on Robert Reich’s blog.